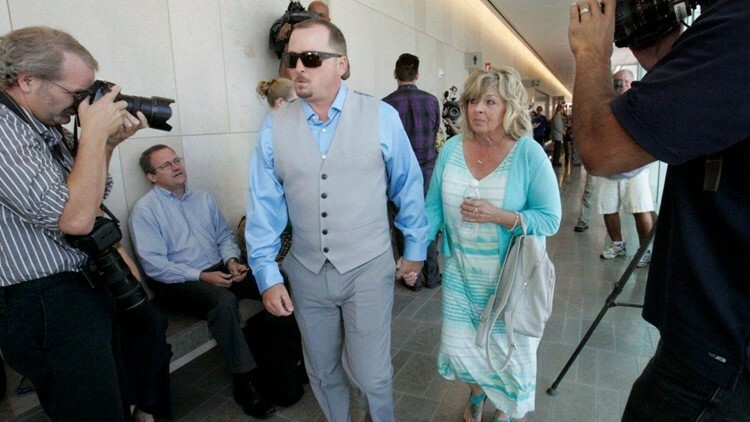 SAN BERNARDINO, Calif. (NEWS 8) — The brother of Joseph McStay took the stand Wednesday in the trial of a business associate accused of murder the McStay family of four. Michael McStay said he went to the family’s Fallbrook home with the defendant Chase Merritt days after the family went missing in 2010. He testified that Merritt told him he was hesitant to go inside the home because he had a criminal record. Michael McStay said he could not recall if Merritt actually entered the home that day or not. The 61-year-old Merritt is facing the death penalty if convicted of using a sledgehammer to murder Joseph McStay, his wife, Summer and the couple's 3- and 4-year-old sons. Prosecutors allege a financial motive for the murders. In opening statements Monday, January 7 prosecutors said greed, debt and a gambling problem led Merritt to kill the McStay family. Joseph McStay’s mother, Susan Blake, testified earlier this week that she gave the defendant thousands of dollars after the McStay family went missing, because Merritt told her he needed the money to keep the McStay's fountain business running. Three years after they went missing, an off-road motorcyclist discovered the family's bones in the high desert near Victorville. A prosecutor also said Merritt wrote checks for more than $21,000 on his partner's QuickBooks account after the family vanished in 2010. But the defense said they have the wrong man, and suggested the killer was another business partner.